the “Understand Your Teen Summit” begins! This is a free on-line event with an amazing line-up of speakers including Dr. Gary Chapman, Rick Warren, David Platt, and about 40 other speakers including ME!!! AGH! How did I end up on that list? Your guess is as good as mine. Lol! Well, I have 2 teenagers (a 15 year old son and a 13 year old daughter) but I want to humbly admit that I don’t always know what I’m doing or how this will all turn out. I am not an expert, so I’m not going to be speaking with any authority when it comes to the “parenting” aspect but I do know the difficulty of raising kids to follow Jesus in the midst of family struggles, this modern age of social media and cultural pressure. 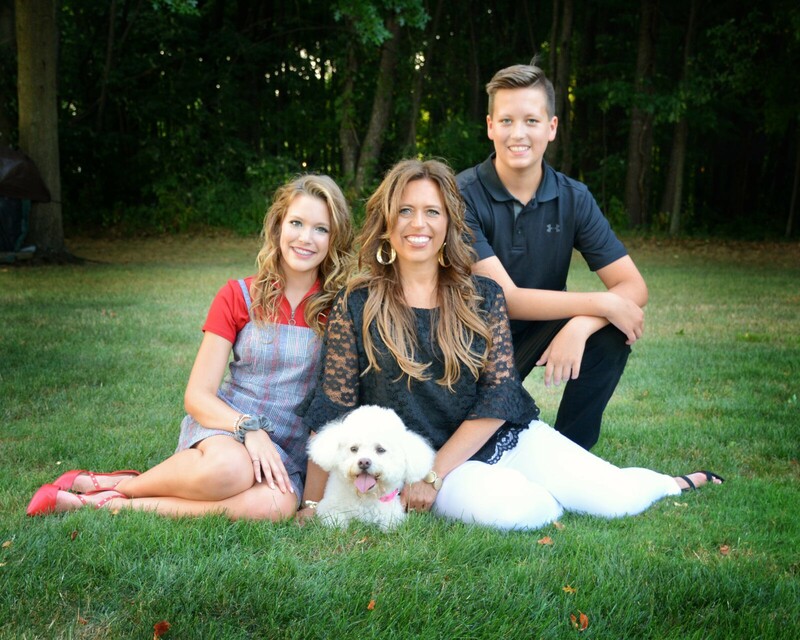 So, I’ll be sharing as just a real mom – in the thick of it. I can’t wait to hear the other speakers! I feel like this is an exciting opportunity for us to learn how to better parent our teens or pre-teens from some of the most informed voices in faith and culture… for free. and will run from September 20th through October 3rd. Connect – Snap what? Selfie? Chance the Rapper? Pop culture, smartphones, media, and entertainment can all help shape your child’s faith. As a parent, being informed about what’s happening in your teen’s world and why it matters is key to connecting with them. What topics, cultural trends, and passions are important to your teens? Capture – Equip yourself to capture your teen’s heart through deep, engaging conversations. How do you approach the hard, uncomfortable conversations? Cultivate – With the knowledge of your teen’s culture and the connection to their heart, you can cultivate their love for God. Are you cultivating a love for God that’s changing their actions? Registration is now open for this FREE online parenting summit. 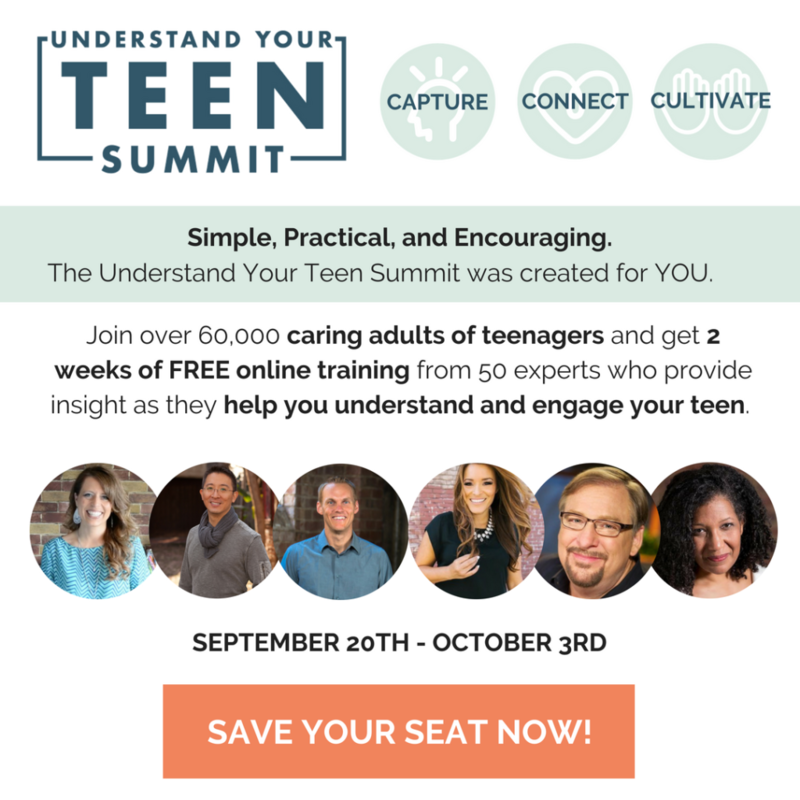 Save your seat for September 20th and get ready to dive deep into these 3 areas of understanding your teen! Come join me!!! 🙂 You can see the schedule and list of speakers by clicking —> HERE. I just signed up too!! I am excited! God Choose you, thats why! !